> Evidence based interventions for existing and emerging musculoskeletal problems. > Preventing and/or reducing the risk of additional complications. > Promoting wellness and fitness to enhance human performance as it relates to movement and health. We strive to provide the aging population with tools to live life to the fullest extent possible. 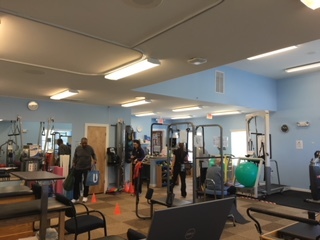 We do this by providing physical therapy along with a fitness area for older adults, including the aging spectrum – we cater to the well elderly as well as the frail and disabled. Maintain joint integrity for injury prevention. Gain strength, range of motion, and improve balance. Increase confidence to walk in your home and community. 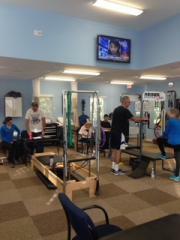 We are committed to providing each and every patient with a timely, effective rehabilitation program. Our experienced therapists come from diverse, clinical backgrounds and possess the understanding and enthusiasm to support you safely throughout your recovery. 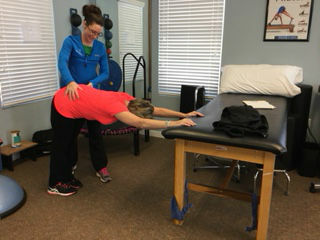 Our focus is on the planning and administration of physical therapy treatment to restore function, relieve pain, and prevent disability following disease, injury or surgery. 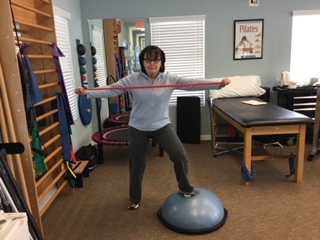 The opportunity to maintain independence by providing each individual with a comprehensive strength, gaits, and balance program, minimizing their risk of falling. An environment where individuals feel comfortable exercising on machines, which are effective. A safe environment with professionals overseeing their progress and minimizing their risk of injury. 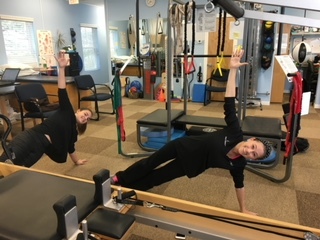 Scoliosis Rehabilitation for those individuals (adolescents and adults) suffering from deformities of the spine that result in chronic pain, breathing difficulties, and ineffective spinal surgery. Concussion Management Program for young athletes.